Service Costs > How Much Does JDate Cost? How Much Does JDate Cost? JDate, said the be the Internet’s largest Jewish dating service, was created in 1997 by Spark Networks with the intention to help bring Jewish singles who were looking for either casual dates or long-lasting relationships together. In order to see the costs of a membership subscription, the website first asks that you create an online profile, upload pictures and input your geographical information, similar to that of other dating websites. 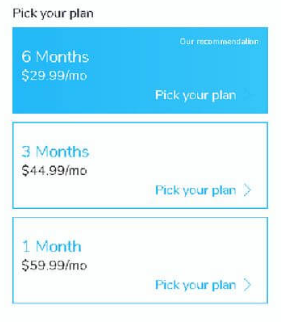 Once you input all of your information, the company will then present you with the pricing options, with the cost, at the time of this publishing, $59.99 a month, or if you choose the three-month plan, the price was $134.97 or $44.99 a month. Lastly, a six-month option retailed for $29.99 a month or $179.94 up front. This price, for new users, can often drop if you’re able to find a promotional code or coupon, for instance. These prices, like most dating services, are subject to change, so we do encourage you to check out the official website and see the up-to-date pricing. Keep in mind, however, that you will have to spend up to 10 minutes creating your profile before you’re able to see the pricing figures. All memberships will renew at the end of the subscription term, so if you plan on canceling, you must do so before your next billing cycle. While the company does charge a fee to access the premium content, you can create a free account in order to access the basic features such as creating a profile, browsing matches and see personal match suggestions; however, one of the biggest downfalls is that you will not be able to communicate with others and receive other premium features as we get into below. What’s included with a premium account? Profile creation: The dating profile offers four label options: “In my own words,” “Likes and Interests,” “Kibitz,” and “Compatibility,” all of which we will describe below. When you take a personality quiz, your profile picture will then become a certain color, which signals to other people that you may be a potential match. Just like other websites, an “About Me” section is also available, with the biggest difference being that the company requires you to note your religious affiliation and your level of observance. While non-Jewish members can join, they need to indicate if they are willing to convert to Judaism. About me section: The website offers a blank slate, where you write a short message about yourself, particularly what you enjoy and what you’re looking for in particular. My Ideal Match: Within this section of your profile, you will be asked to give your preferences as to what you’re looking for in a future partner such as the age range, relationship status, your education level and so forth. In My Own Words: This feature, as a special section of your profile, allows you to write short answers based on the questions the website gives you. Topics range from your goals and ambitions to the coolest places you visited, for instance. Kibitz: This unique feature allows you to answer a random question every day, allowing you to open yourself to other members who answered the question as well. Color Code Test: This personality test, which is color-coded, helps match other members as this color, as explained above, will display on your profile. Flirt: This button can help you express interest in someone else, allowing them to know that you’re potentially interested. When they receive this notification, they can then either not respond or send a message from there. Favorites: Known as the Hot List, here, you can view the message boards and even send e-Cars to other members.